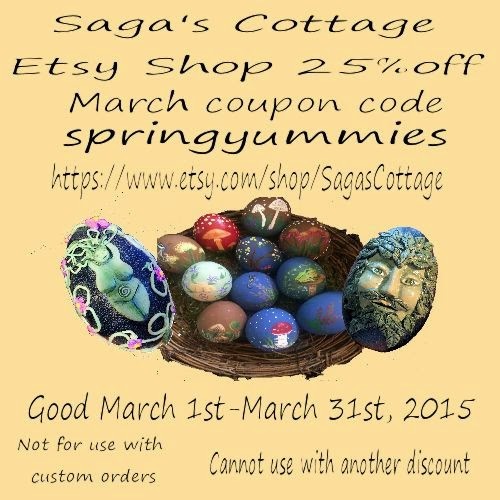 Saga's Cottage : Hurry Spring! Normally I'm all for snow. But, this year has pushed me to my limits. I haven't been able to move my car for two weeks. I suppose in a way it is good, I've gotten lots of art done. Anyway, I want to help push us toward spring, so I created a coupon code. 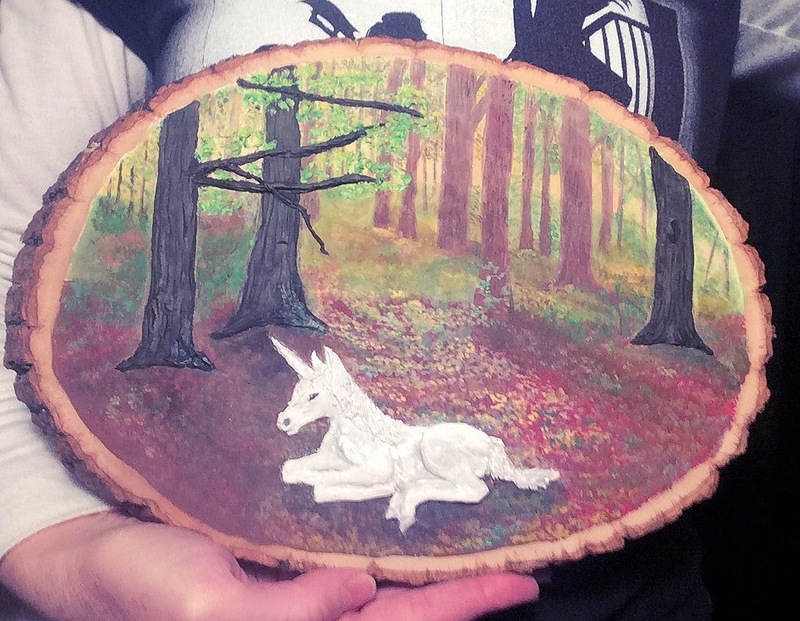 It is good for 25% off your entire purchase in my etsy store, for all of March. There are some lovely spring goodies in my shop. You can use as many times as you like, but it is not good for custom orders. You also cannot combine it with other discounts. As I said, I've been working hard and making some lovely items. Right now I'm making a custom order box and a plaque for my new grandson's nursery. 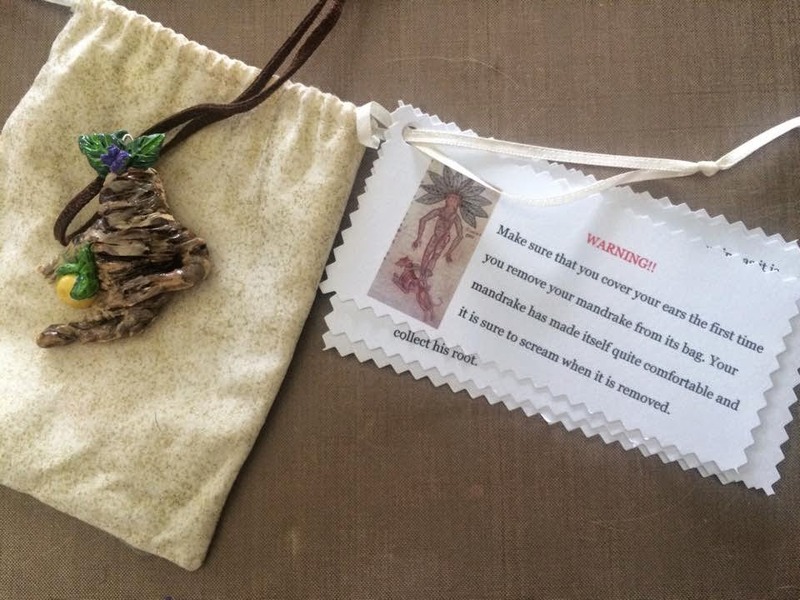 Rest of Goddess Egg cover in vines. These are real blown and cleaned eggs that I have handpainted.